Click on events to read more and to register. Learn how to develop peer-like relationships with executives to increase communications legitimacy, communicator credibility and your role as a true strategic partner at this event led by Aaron Zaslofsky of Wheelhouse Communications. Communications professionals aren’t trained on how to deliberately develop peer-like relationships with executives.This unfortunate truth affects junior-level and seasoned professionals alike. As a result, many are relegated to the role of order-taking tactician when they should have a dramatically larger impact on the organization as outcome orchestrators and communications strategists. If you have already registered, no further action is needed from you. Aaron Zaslofsky founded Wheelhouse to help clients “Communicate with Conviction.” Areas of expertise include executive positioning and trust, organizational culture and alignment, articulating company vision and strategy, employee engagement, and employer brand. Wheelhouse clients include the Science Museum of Minnesota, Cargill, TCF Bank, and Buffalo Wild Wings. Aaron also speaks passionately on how to build peer-like relationships with executives and how to nurture stakeholder relationships for influence. 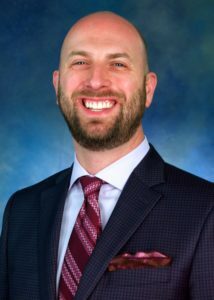 Aaron was previously Director of Communications at Ameriprise Financial where he orchestrated communications and change management for the global Chief Information Officer and Technology organization. Prior to Ameriprise, Aaron was Chief of Staff at McDonald’s USA in Boston and Minneapolis. Aaron’s responsibilities within two different $2 billion business units included management, internal, and external communications, orchestration of the franchisee leadership council, strategic planning, and alignment of regional, U.S., and global business priorities. Parking for this event can be found in the lot next to the venue. Metered street parking is also available. Whether you are actively looking for a new job opportunity or want to freshen up your job hunting skills, join IABC on May 16 at Celarity for our upcoming coffee and conversation event. 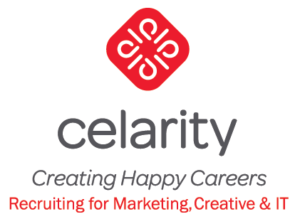 Celarity will lead a discussion on job hunting tips and tricks and answer any questions you may have on how to best approach this task. Attendees are encouraged to bring their own success stories or questions to the table! Coffee and bagels will be served at the event. Masterminds for Veteran Communicators is for monthly conversation, networking, learning,helping each other brainstorm and problem solve. We meet at the Excelsior & Grand Starbucks, (3850 Grand Way, St Louis Park, MN 55416) from 7:30am – 8:30am. Sometimes we meet at member locations, so check the website for details each month to be sure. 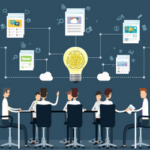 Masterminds group is open to any IABC Minnesota member with 10 or more years of experience. Members will be asked to pay a one-time fee of $25. Then the coffee is on us, what a deal! If you’re interested in learning more or joining a Mastermind group, please contact Susan Otten.